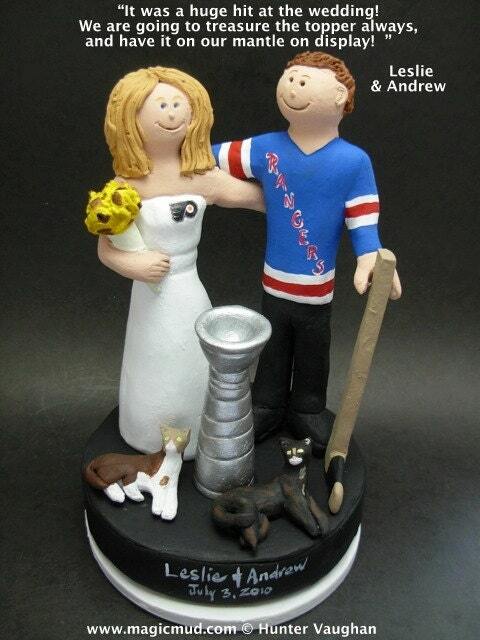 Hockey Wedding Cake Topper, custom created for you! 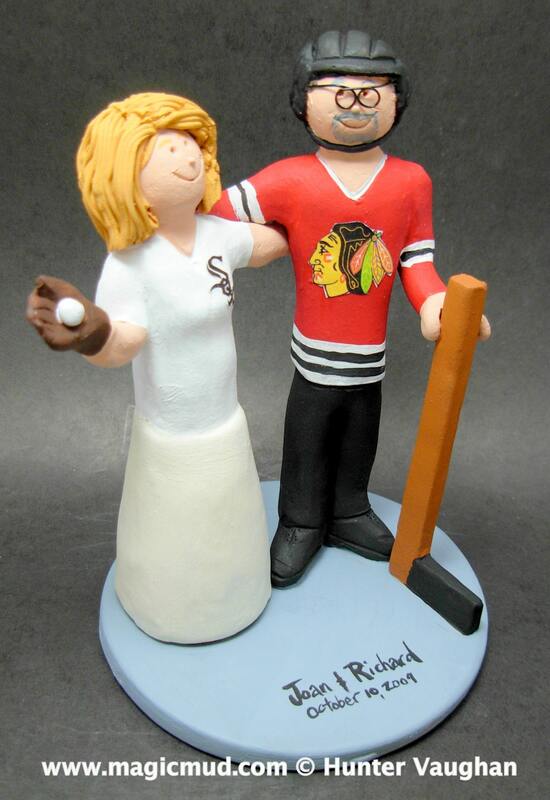 Handmade to your specifications by magicmud.com of kiln fired clay. 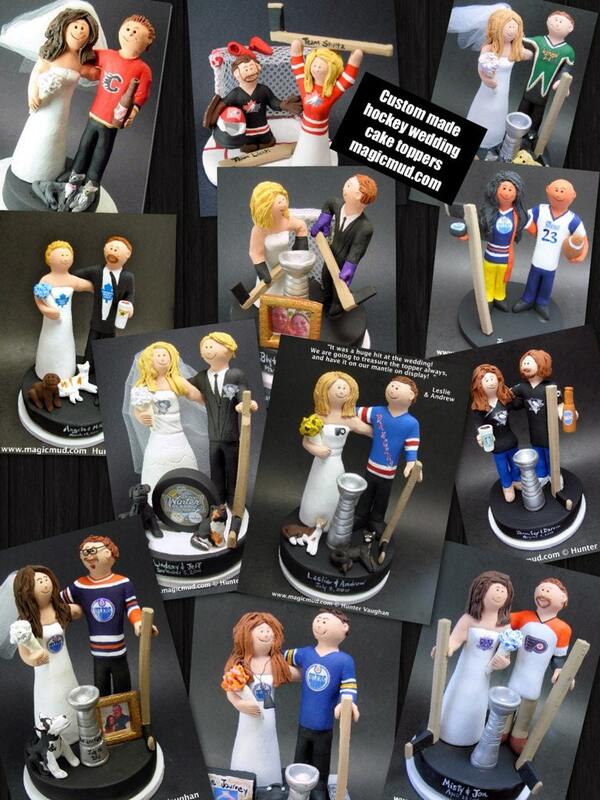 Perfect one of a kind personalized keepsake for a NHL Hockey Wedding. 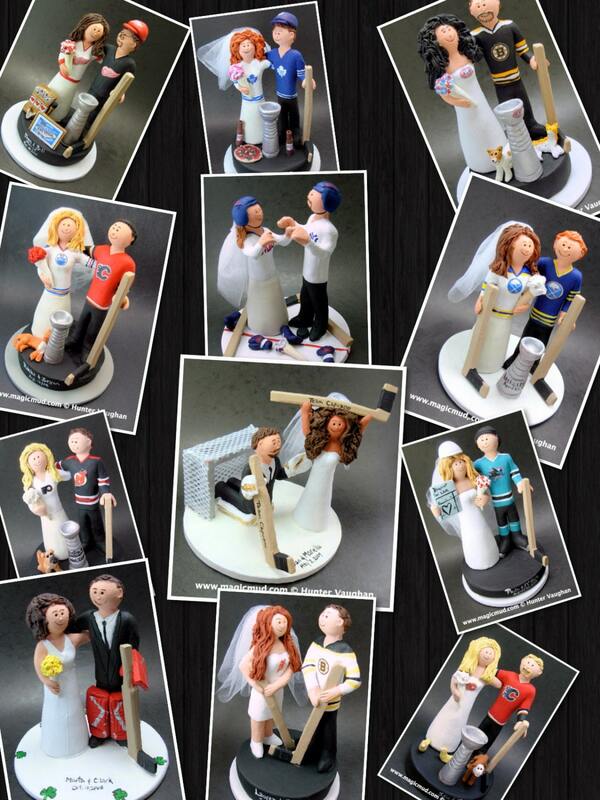 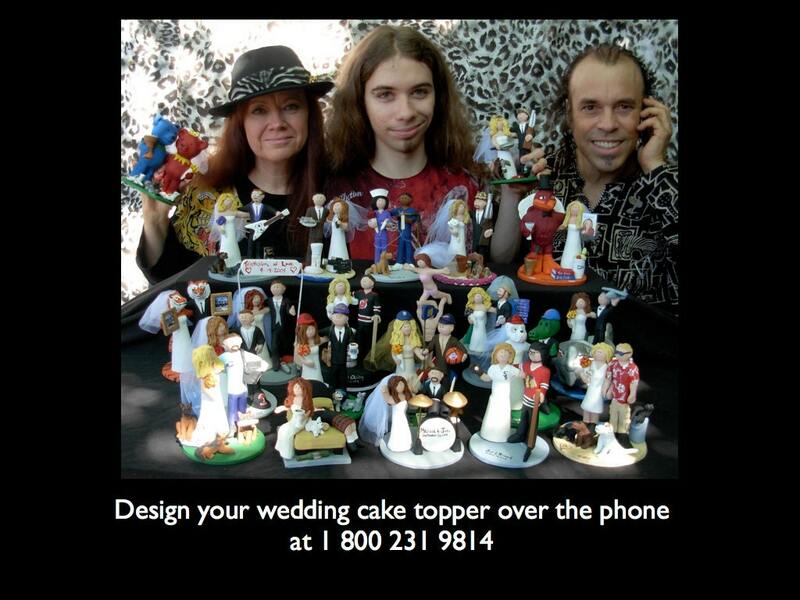 ...This photographed listing is but an example of what we will create for you....simply email or call us, toll free 1 800 231 9814 with your own info and pictures of yourselves, and we will sculpt for you a treasured hockey bride and groom figurine.